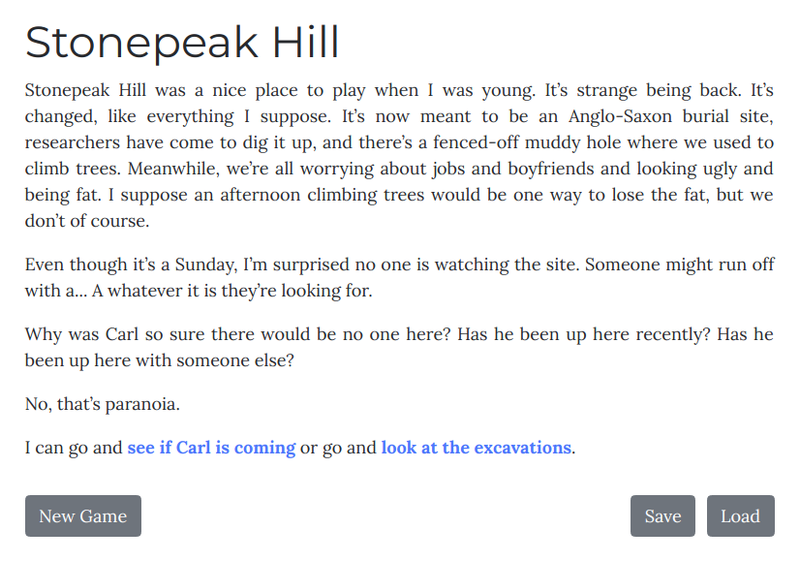 I've just uploaded the first release of Gwen, my new interactive story. It's a very early release but it's also my entry in the Gothic Novel Jam. The first adventure is playable, but there are many more adventures for me to write, so stay tuned! The theme of the jam is 'the monster within'. Gwen is a normal girl who likes killing things. She enjoys killing monsters, and things that aren't monsters.